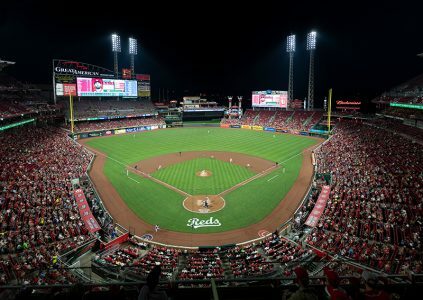 One of Major League Baseball’s most storied franchises, the Cincinnati Reds have always been dedicated to providing the best possible experience to its fans. 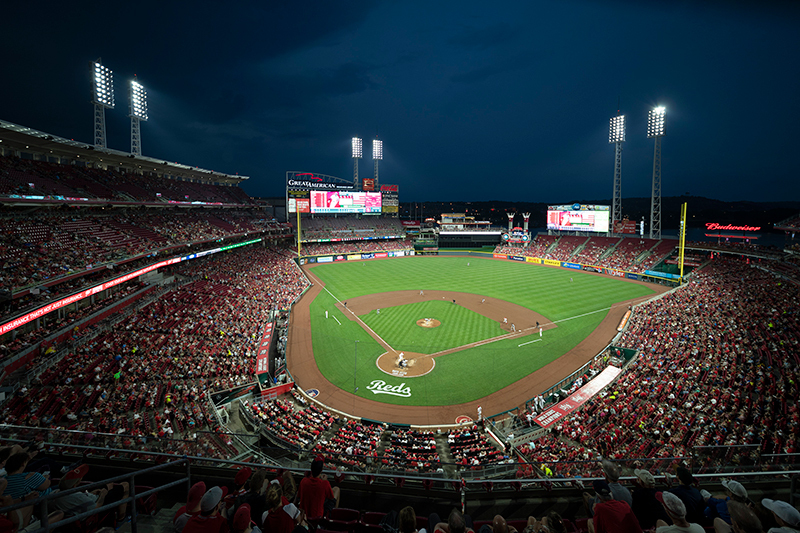 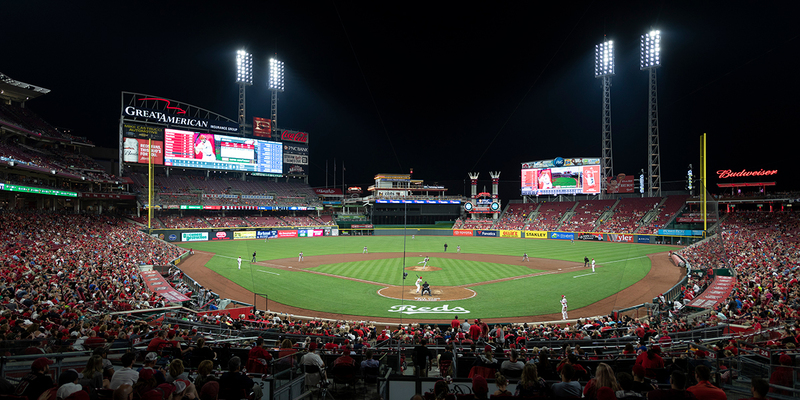 In 2014, when club leaders determined that a more energy efficient lighting system was needed at what’s now known as Great American Ball Park, they were committed to finding an LED solution that provided the best field lighting, features, and overall value. 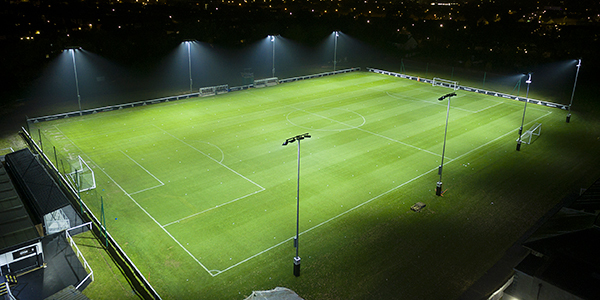 Crystal Clear Visibility – custom optics designed around the LEDs results in a whiter, more even, and more uniform distribution of light, allowing players to see the ball like never before. 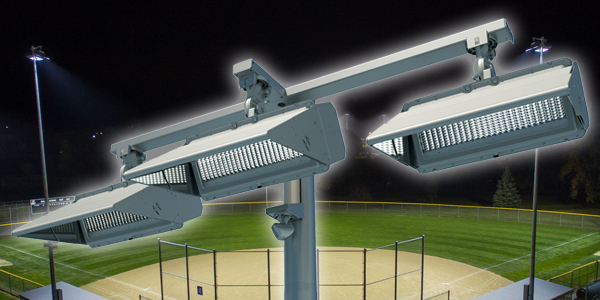 Superior Light Control – Musco’s advanced, patented visoring technology around the system’s 384 LED fixtures directs light with pinpoint precision while virtually eliminating glare from affecting anyone in the stadium. 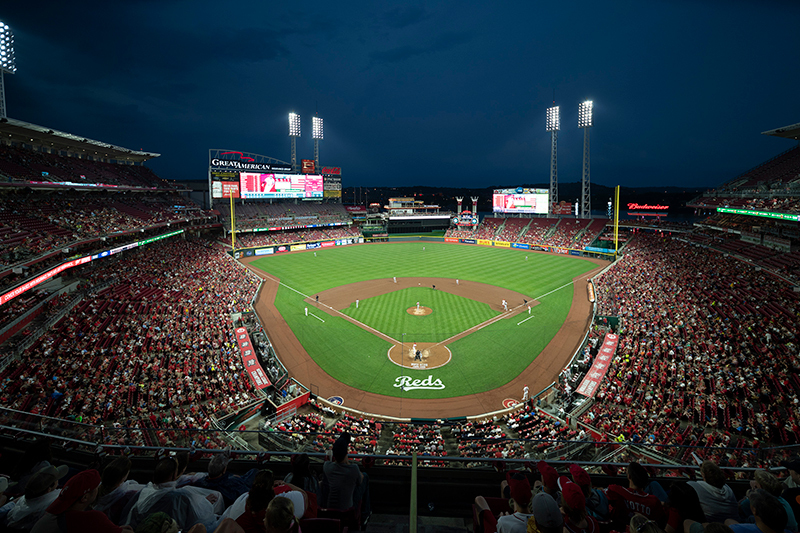 Unprecedented Entertainment Experience – fans attending games at Great American Ball Park will enjoy cutting-edge new light shows and special effects, made possible by the TLC for LED fixtures’ ability to individually synchronize with the stadium’s DMX board. 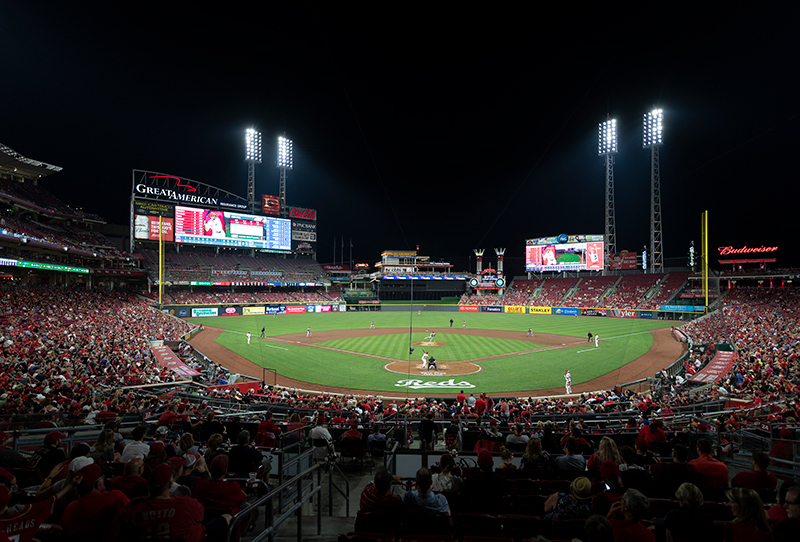 Improved HD Broadcast Quality – Musco’s custom design capabilities and multi-zone aiming expertise results in on-field lighting free from harsh shadows, delivering the highest-quality HD broadcasts to fans watching on television. Energy Efficiency – the new system will reduce energy consumption by 50 percent compared to the previous lighting at Great American Ball Park. Another major benefit for the Reds is Musco’s long-term warranty which guarantees light levels and covers every part and all labor involved with maintaining the system, eliminating maintenance costs for the next 10 years.